We understand how important it is to uncover termites and their related damage during the home inspection. We offer Termite Inspections completed by a third party company at no additional fee for all inspections except New Construction and Commercial Building. The 90-Day warranty is offered with all Buyer’s Inspections at no additional fee. 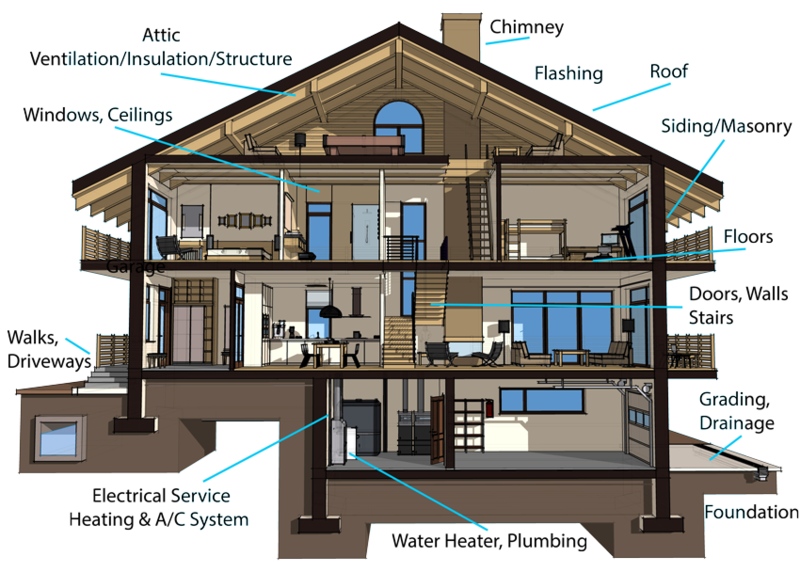 With the warranty, any issues with the home’s mechanical or structural systems that arise within the first 90 days after your inspection will be covered. You want your home to be in its best condition before being listed on the market, and we can help make that happen. A Pre-Listing Inspection will tell you everything you need to know about the damages within a home, giving you all of the information you need to make repairs before showing to buyers. The 120-Day warranty is offered with all Pre-Listing Inspections at no additional fee. With the warranty, any issues with the home’s mechanical or structural systems that arise within the first 120 days after your inspection will be covered. Having a Re-Inspection performed in the home after all repairs are made is a great way to put your mind at ease about closing your deal. We will inspect the home after your Buyer’s Inspection, ensuring that all repairs are up to standard and completed as you requested in the Create Request List (CRL™). You don’t want to be surprised by building defects during the final walkthrough of the home. To avoid this, a New Construction Inspection can be scheduled. We meticulously inspect the building and offer builders an outside perspective on issues that may have been overlooked. You don’t want to be stuck paying for repairs that may have been covered in your builder’s warranty. If you received this 12-month coverage upon buying a newly constructed home, having it inspected during the 11th month can help you get the most out of the warranty before it’s over. If you’re buying or selling a commercial building, you should get a Commercial Building Inspection beforehand. We do these inspections for both light and heavy commercial properties, helping you understand the building’s current condition and any issues that need to be addressed.